also known as where we hang out, meeting , chatting and many many more…. 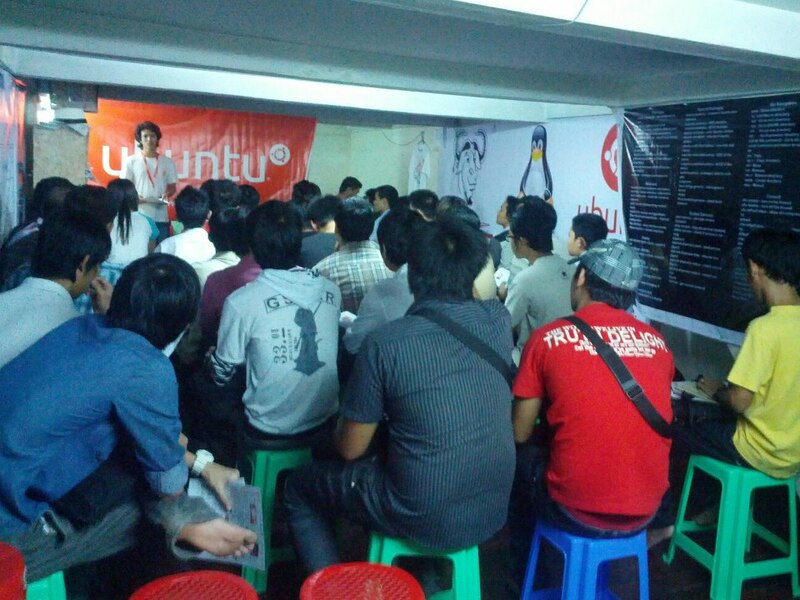 @5:00pm- I try to help how to install ubuntu 12.04 LTS and giving some bulls**t to attendences .After that I introduced to our Team Leader Ko Ko Ye, Tho Hi, Ethan Kurt and Ye Thu Soe. @5:45pm – Our team leader start explain about………. Ubuntu 12.10 Installation using and 13.04 Alpha Introduce. @ 7:15 pm Ethan Kurt introducing about Ubuntu 12.10 installation and explain about our loco community how we help to ppl @ facebook and launchpad. @7:40 pm our team leader say thank you to all and say goodbye and see you tommorrow . 1 Pings/Trackbacks for "Ubuntu-MM 1212 (Goodbye2012)"